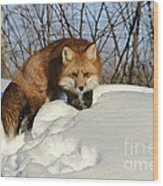 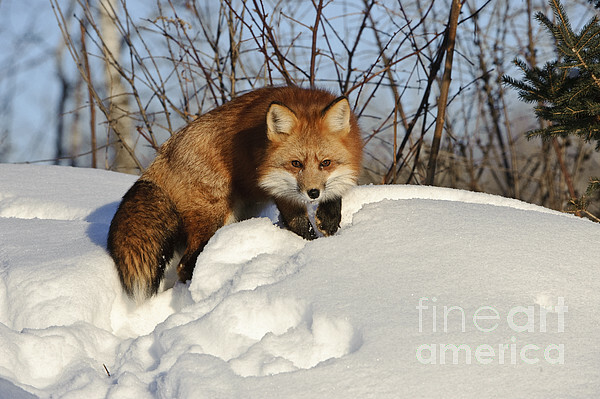 Red fox (Vulpes vulpes) in mid-winter snow, Minnesota. 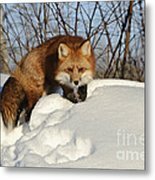 This is the most widely distributed wild carnivore in the world. These foxes were imported to New York, New Jersey, Maryland, Delaware and Virginia in the mid-18th century by landowners who enjoyed hunting them with hounds. 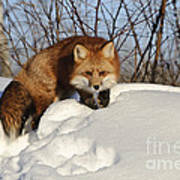 The Red Fox has also been introduced into Australia, where it has become a danger to native wildlife.